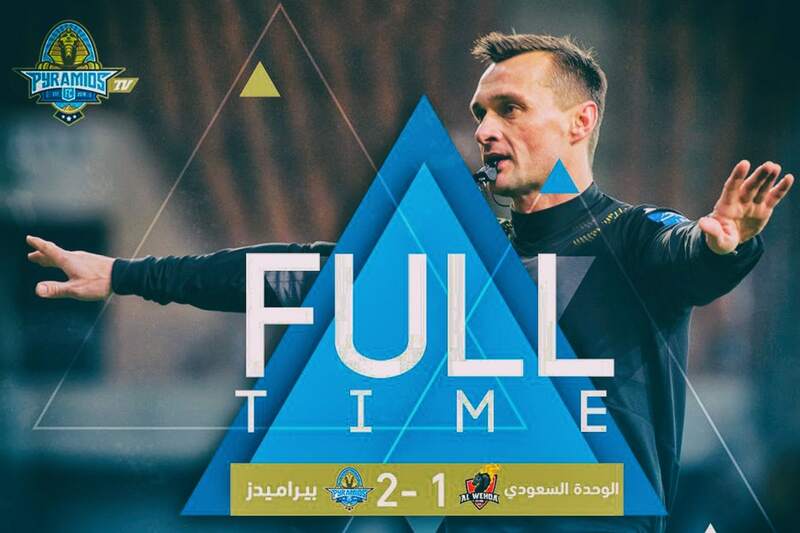 | شعار بيراميدز / Who designed Pyramids FC Logo? 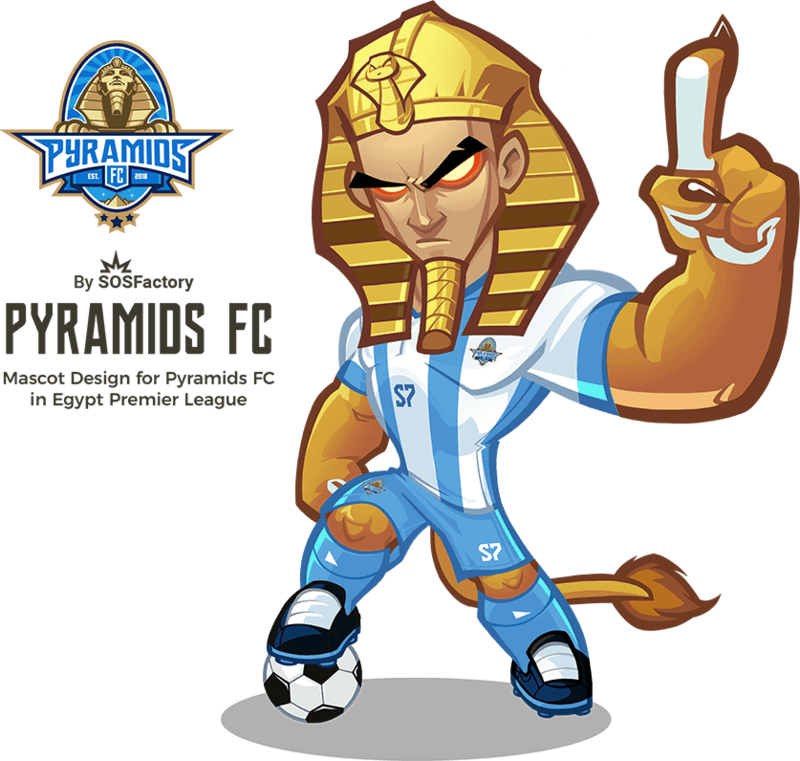 While the name of the club is Pyramids FC, and after testing the Pyramids as main brand element, the concept chosen by the Club was the Sphinx. 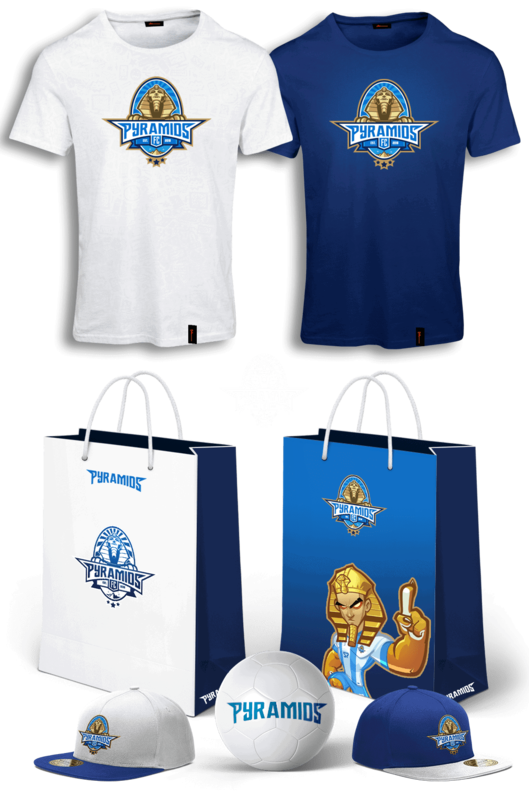 With this choice we achieved 3 goals: it humanizes the brand, makes it visually more interesting and also helps with activations of the sport mascot as key element in the brand identity. 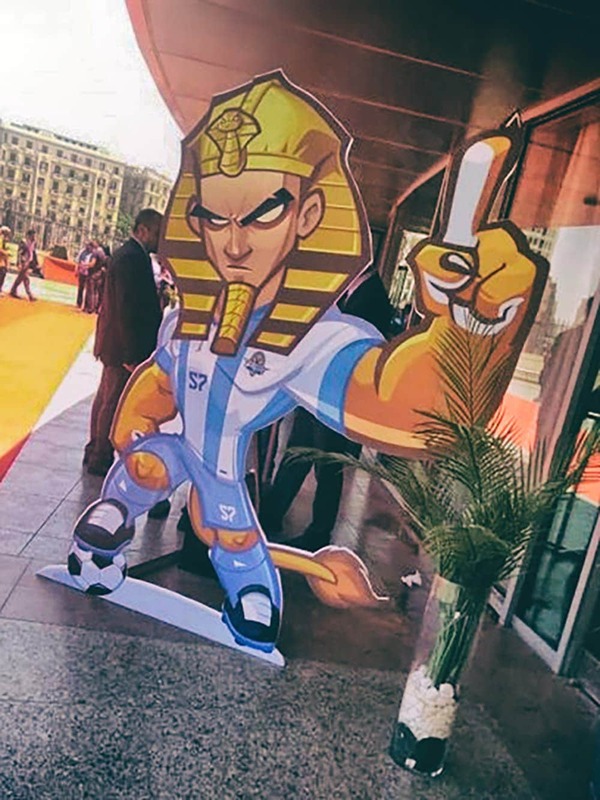 The Sphinx sport mascot character is a key element in the brand identity, as any other brand asset it can be used as a visual element, it can also be manufactured as a costume and be used as events activator. 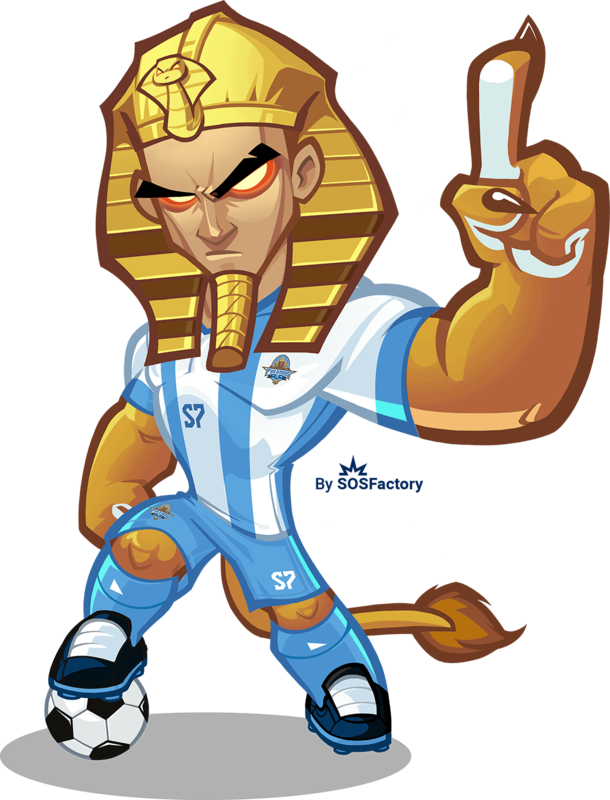 I created an USA style sport logo design: bold lines, flat colors and 2 geographical references: the Pyramids and the Sphinx. The logo can be used on different forms adapting to different case scenarios. 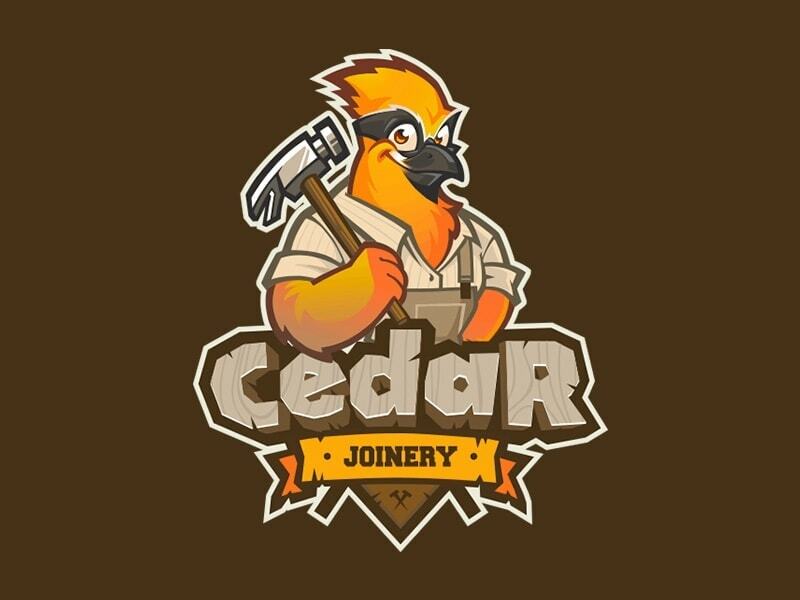 The Team Badge works perfectly over light and dark backgrounds and also in limited palette of colors. 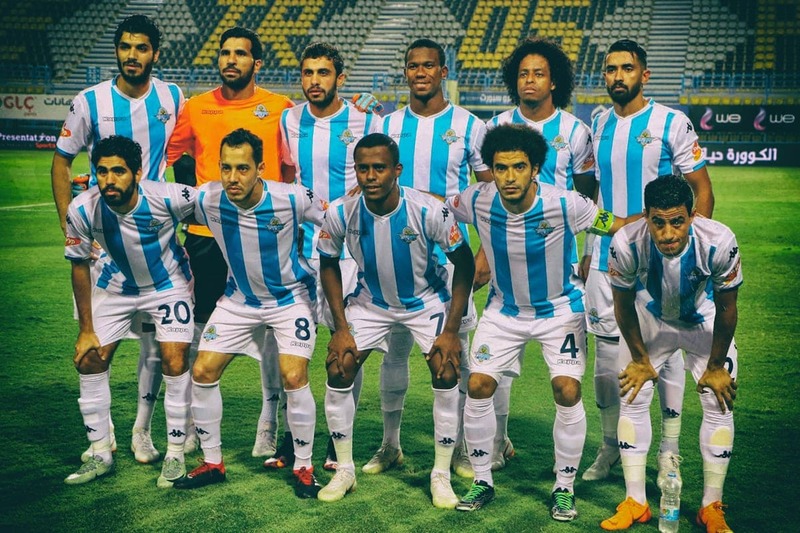 PYRAMIDS FC kit for the season 2018 – 2019 has blue and white as primary colors. 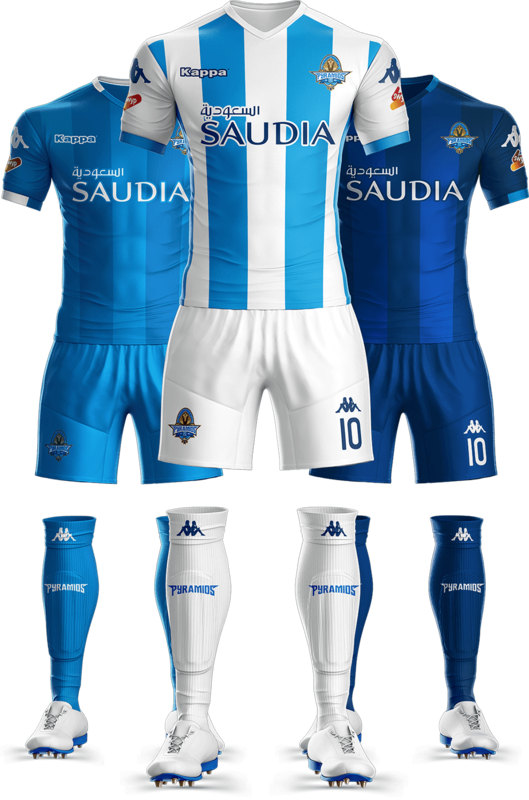 For the second and third uniform they used different shadings of blue. *** Non-Official products, visuals created to show the brand’s application. 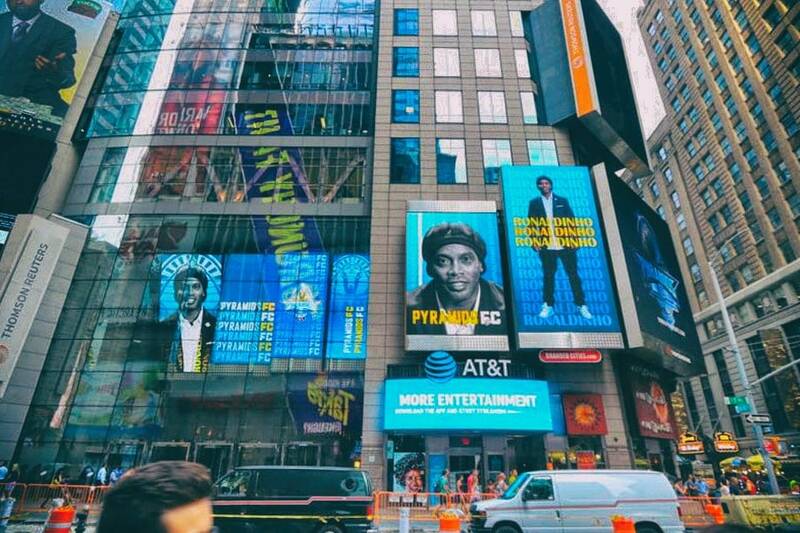 Top Football Player Ronaldinho Gaucho is brand ambassador of PYRAMIDS FC and regular guest at PYRAMIDS TV. 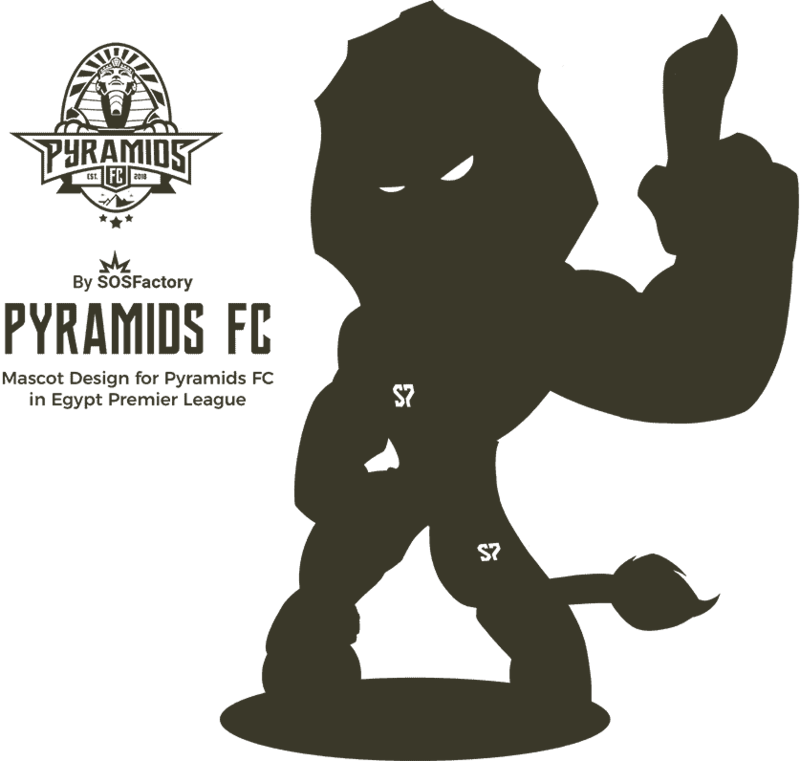 PYRAMIDS FC ground is 30th June Stadium, in the video you can use the brand application on several mediums. 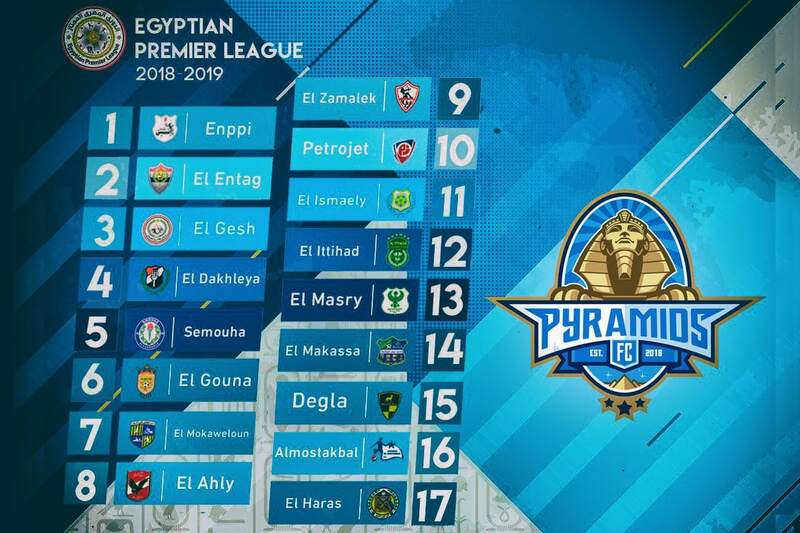 PYRAMIDS TV regularly features former Egypt, Ajax and Tottenham star Mido, as well as star guests like Roberto Carlos, Robbie Keane and John Terry. 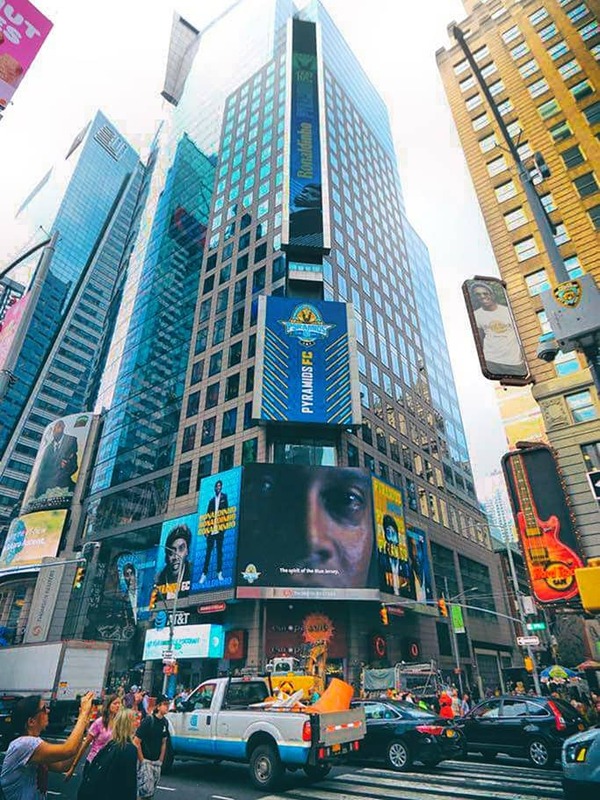 Pyramid FC’s latest media blitz involved splashing adverts of the club’s banners and its guests in one of the most recognisable and high profile locations on the planet, Times Square in New York.